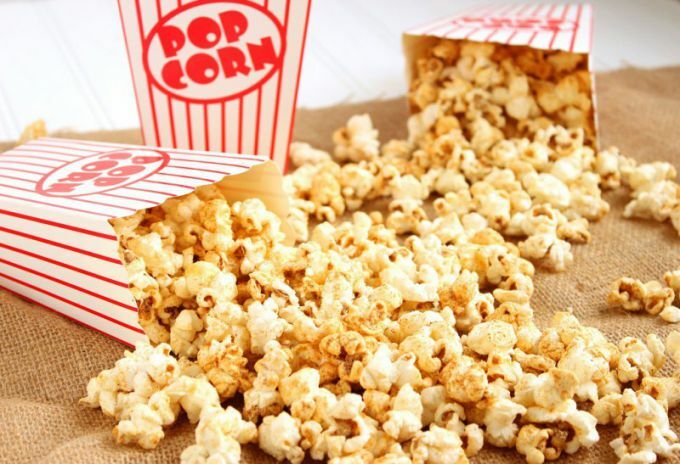 Popcorn – corn, blown under pressure or hot air. As a rule, they are consumed in salty or sweet form, but also can replace croutons in soups and salads. To make popcorn at home some tricky fixtures is not required. Prepare corn. Don't take too much at one time, popcorn is greatly increased in volume. Put on gas pot, pour a little vegetable oil without smell. Pour grain. Add salt or sugar as your favorite spices. All this should be done quickly, until the corn began to explode. Cover with a lid. While you will hear typical sounds, hold the lid with your hand. Usually making popcorn at home takes no more than 2-3 minutes. Open the pot. Pour the exploded grain in a bowl. Corn that is not opened, throw it away. Do one of the mixtures of spices depending on your taste. The French like to mix dried tarragon with rosemary and sea salt. The British prefer black pepper, along with nutmeg gives a very interesting sound for such a seemingly simple food like blown corn. The Germans like to add in homemade popcorn slices of fried bacon. So this nation – not one meal without mesocortical! Americans are so omnivorous that as chips make homemade popcorn with absolutely everything that will be in the fridge or on the kitchen shelves of: with cheese, with Basil, with slices of smoked herring. And can sweet. Heat a small amount of butter if you want to cook at home caramel popcorn. In America, this dish exploded corn is called "crunch Munch". When the butter has melted and it starts to come light nutty aroma, stir it sugar. Very soon the mixture will turn into caramel. It should spill to the grains of corn on the same stage at which you add salt and spices. Of course, this time is to do without them. If you cook the popcorn on a conventional stove, use a pot with a tight-fitting lid. Otherwise you risk to collect the exploded corn all over the kitchen. 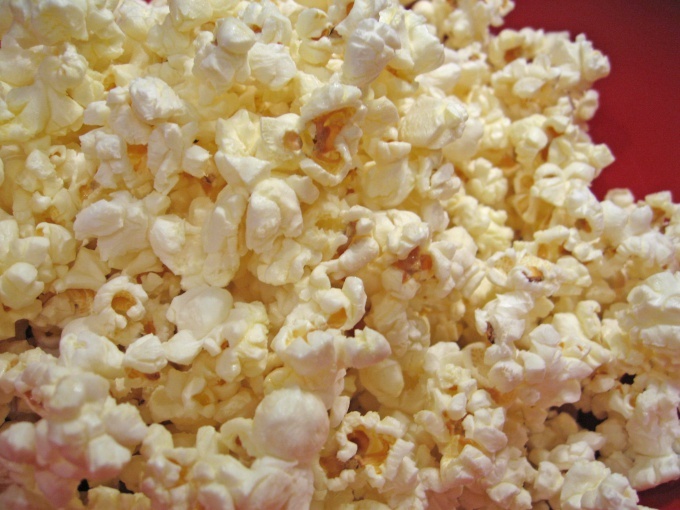 Popcorn can be done as on a conventional stove and in the microwave.